Paxton’s answer to that question could shake up budget negotiations in the final weeks of session. In a letter Wednesday, Sen. Jane Nelson, a Republican who chairs the Senate’s Finance Committee, asked Paxton's office to weigh in on the chamber’s plan to balance its books by delaying — just by a day or two — a required $2.5 billion transfer of general revenue to the state highway fund. Paxton’s answer to that question could shake up budget negotiations in the final weeks of the legislative session. “I respectfully request an expedited response,” Nelson wrote in her opinion request. By delaying the $2.5 billion diversion from August 2019 to September 2019, lawmakers could, in theory, push the liability into the next budget cycle, freeing up the money for health care, schools and other needs more immediately. Texas Comptroller Glenn Hegar, the state’s chief financial officer, has a different take: It might violate the state Constitution. That’s because a provision of the 141-year-old document — Article 8, section 7-c, to be precise — says the state comptroller must move money from general revenue to the state highway fund during the same fiscal year when that revenue is collected. Hegar highlighted the constitutional conflict in a letter to Nelson on Wednesday, and a Texas Tribune story flagged the issue last month. By fielding Nelson’s opinion request, Paxton will be wading into a matter that has fueled tensions between the legislative chambers. In criticizing Nelson’s maneuver last month, Straus invoked the name Enron, the Houston energy company that collapsed because of accounting fraud. In response, Nelson called the move “smart money management that allows us to responsibly meet our needs without raiding the Rainy Day Fund” — jabbing at the House for planning to tap into the $10.2 billion state saving account available for tough economic times. In a statement Wednesday, Nelson's office said it "believes [its] approach complies with the Constitution and addresses our transportation needs." "It also helps us balance the budget -- just as the House employs deferrals and other accounting measures to make its budget work," the statement said. "But this is a $2.5 billion question that needs to be answered." 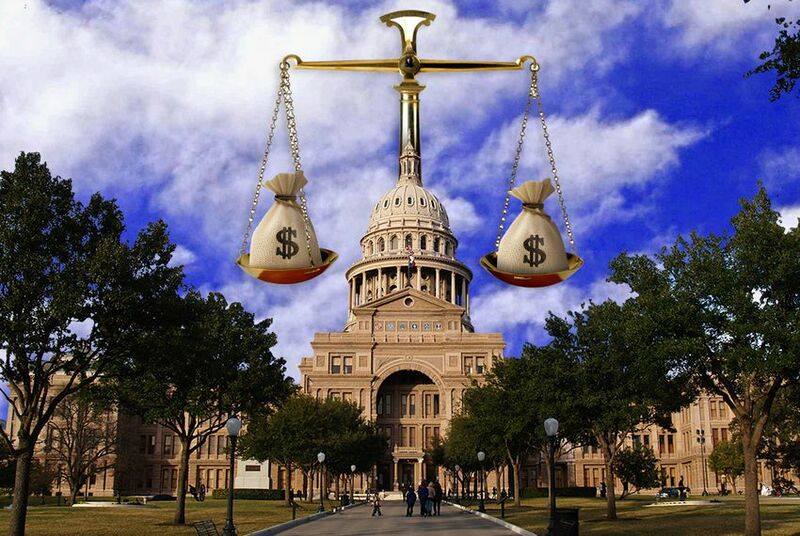 The Texas Senate passed budget that would shift $1.8 billion in public education costs to local taxpayers.